We are starting a new tradition for The Morning Thing Blog. Every Friday, we will post a list of topics that we covered for the past week. We will provide links to the articles and information that we share weekday mornings from 6-9. We hope that you will go through this list of topics and dig a little deeper to find helpful and encouraging information for you and your family. It is our passion and desire to provide you with fun and inspiration that will strengthen YOU and your family every weekday morning as you start your day. Thanks for listening! We’ll see you Monday at 6am! We have some special features to get your day started! The Morning Thing Game of the Day at 7:20am is your chance to win! Monday through Thursday – you get a chance to win a $5.00 gift certificate to Southside Diner. On Friday – we’ll have a surprise prize every week! It was Easter Week! Each day, we shared some special bible verses for Easter. We also took a Journey to the Cross with daily activities for kids for the week of Easter. PLUS, we gave away tickets to the ALIVE FESTIVAL every day this week! They shared a conversation with Gigi and Brandon Gonazalez Cottrell from the Salvation Army about their upcoming father/daughter dance. It was also a GET HEALTHY Monday. They shared some tips from the Knox County Health Department and a chance to win a Get Healthy Prize Package. Get Healthy Tips – Drink MORE Water. A simple step to better health is to drink more water. Water is the second most popular beverage in the U.S. after soft drinks. This is a scary stat, since sugary soda is a huge health hazard, upping the risk of obesity, stroke, and other heart problems. However, these dangers can be avoided if people choose to drink water, which doesn’t have negative side effects. So help put the sugary stuff to the side and make water the number one drink of choice. When it comes to thirst, put water first. On Tuesday, Wesley and Josh Pope, talked about the Easter Candy and some unique recipes using your Easter candy. On Wednesday, Marcy and Faith, celebrated April Fool’s Day by sharing the greatest April Fool’s Day jokes of all time. They also shared some yummy dinner menu ideas for your family. On Thursday, Jenna and Wesley, celebrated National Peanut Butter and Jelly Day with some yummy recipes using America’s 2 favorite ingredients. They also celebrated National Children’s Book Day by reading some of the greatest children’s books on the list. 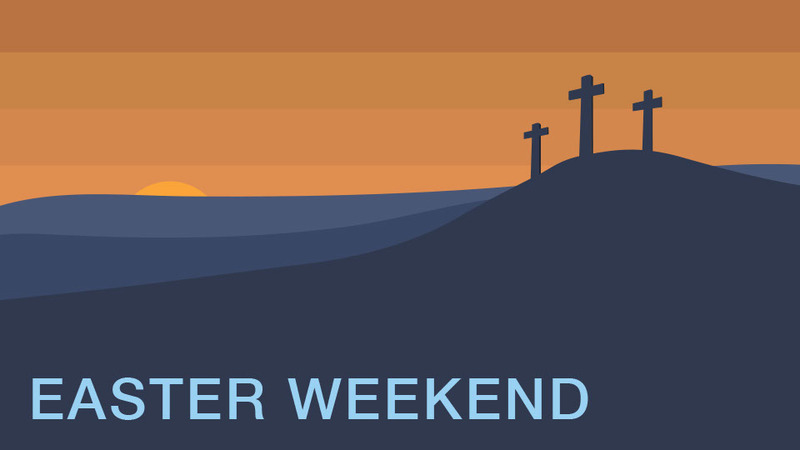 On Friday, Marcy and her daughter Rachel celebrated PTLIGF – Praise the Lord, It’s GOOD Friday! This Friday was very special. We shared 3 hours of songs picked specifically for Easter. Our Morning Thing Fave 5 featured our 5 favorite Easter Songs. We talked about the mini-series AD – the Bible Continues, which premieres on NBC on Easter Sunday. Here’s a link to hear Executive Producers, Roma Downey and Mark Burnett talk with Jim Daly on Focus on the Family. In the 8am hour, we shared our April MVNU Presidential Update with Dr. Henry Spaulding. Remember that The Morning Thing is a GREAT way to start your day. Every weekday morning from 6-9am.